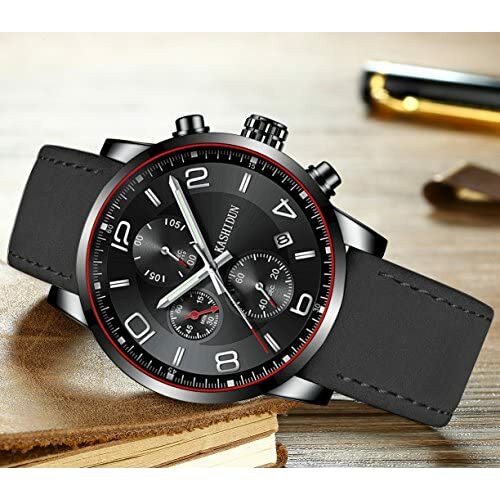 ★UNIQUE AND MULTIFUNCTIONAL DESIGN★The exquisite Black dial with textured surface, clear figures, luminous hands, chronograph, calendar window and functional sub-dials. 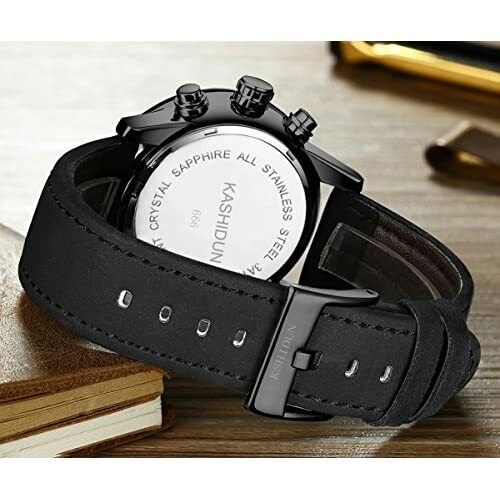 This is a perfect and elegant watch for you. 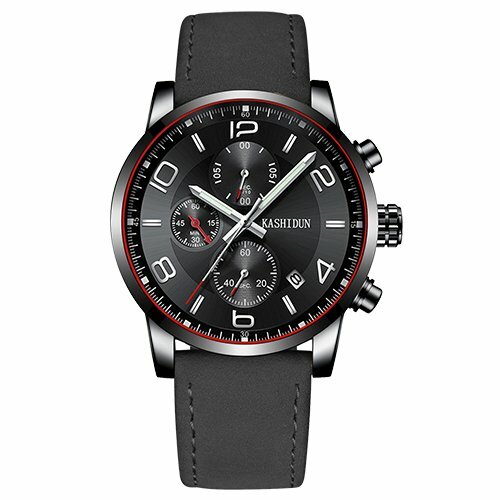 ★WATCH MATERIAL★ High quality quartz movement ensures the accuracy of time. High hardness wear-resistant glass, avoiding the surface mirror from being scratched. IP plating stainless steel case will not easy to fade and get rusty. 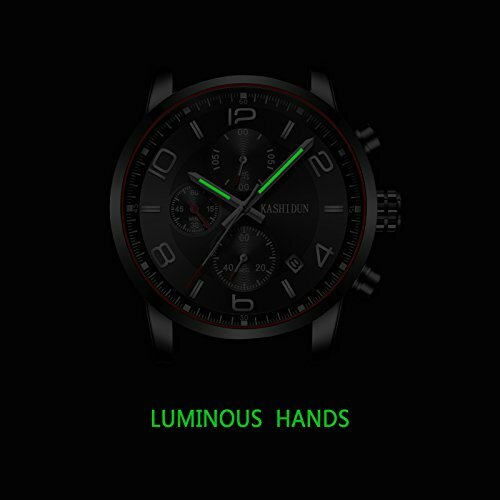 ★LUMINOUS FUNCTION★ Fashion Wrist Watch with luminous hands and time mark (can absorb enough light from sunshine and lights). 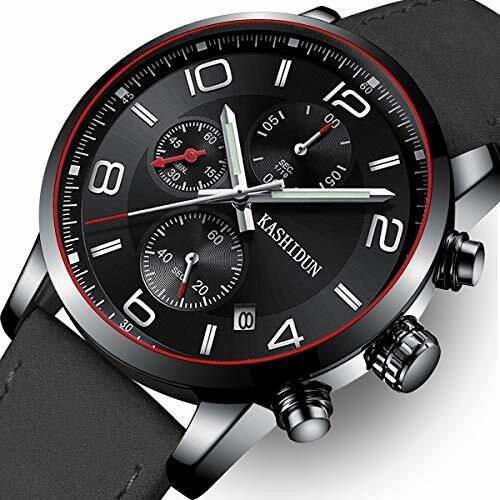 The excellent visibility let you check the time clearly in darkness. ★30M WATERPROOF★ Water resistant to 30 meters(99 feet) can be only for daily life used, in general, withstands splash or rain, but not suitable for showering, swimming, bathing and water related work. 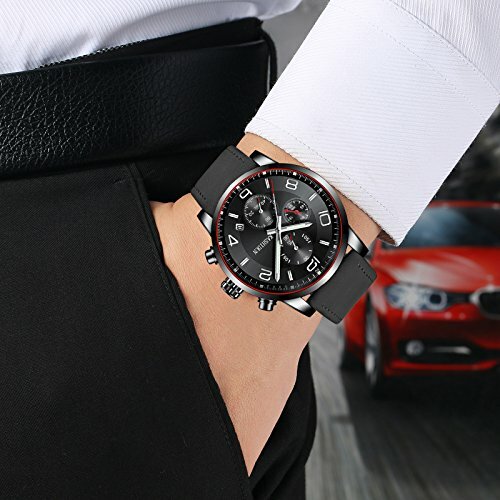 Fashion luxury dress sport watch for men, suitable for daily wearing. High quality quartz movement, stainless steel back and strap, high hardness mineral glass. 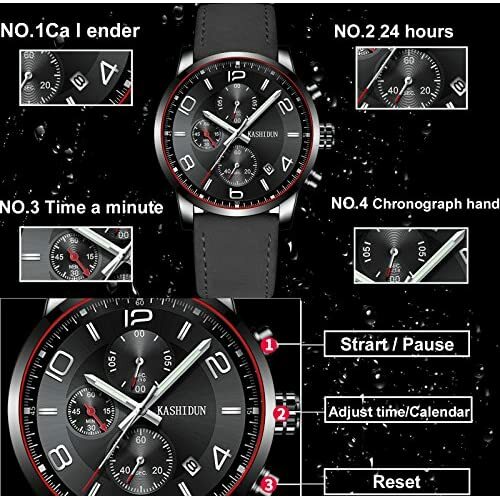 Multifunctional sub-dials, luminous display, calendar, chronograph, stop watch, auto date. Elegant wrist watch as a best gift for your family, friends, colleague and yourself. the watch if the water pressure is too large.